Combining the highest of standards with the warm Cretan hospitality, relaxation meets excitement all within the walls of this friendly hotel. Situated on the beach of Gerani, it is easy to know you’re on holiday here. These spacious one room apartments come with either two single or double bed and are tastefully decorated in neutral colours. 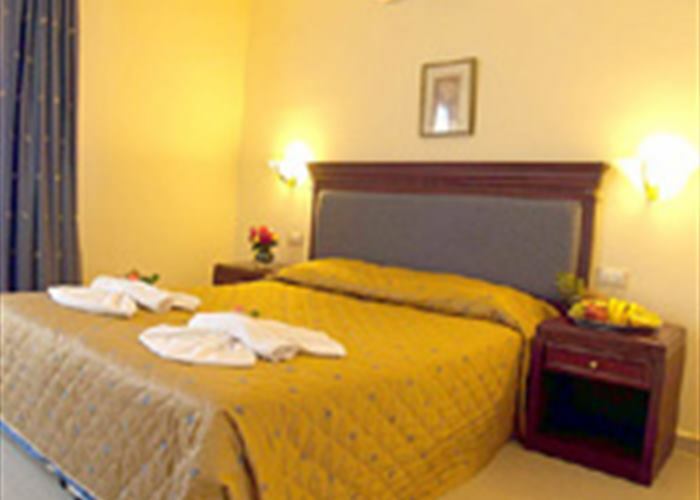 The apartment sleeps up to 3 and is complete with a fully equipped kitchenette, LCD TV and air conditioning. Available in garden, sea-inland and pool view. The two room apartments combine practical family space along with relaxing comfort for both adults and children. They sleep up to 4 people made up of one double bed and two sofa beds in a separated bedroom. 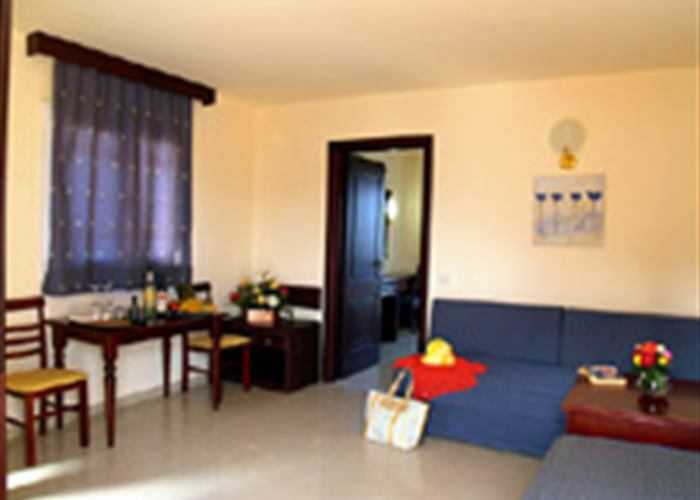 The apartment is equipped with a kitchenette, LCD TV and air conditioning. Available in garden, sea-inland and pool view. This maisonette style apartment can sleep up to a family of 6, and has all the comforts and privacy giving you the homely feel that you need. The apartment is fully equipped with a kitchenette, LCD TV and air-conditioning making your living space a comfortable environment for your holiday experience. Available in garden, sea-inland and pool view.